The McGill Centre for the Convergence of Health and Economics (MCCHE) at the Desautels Faculty of Management, together with the Faculty of Agricultural and Environmental Sciences (FAES) and Trussbridge, are proud to announce the winner of the 2018 Food and Agribusiness Convergent Innovation Prize. 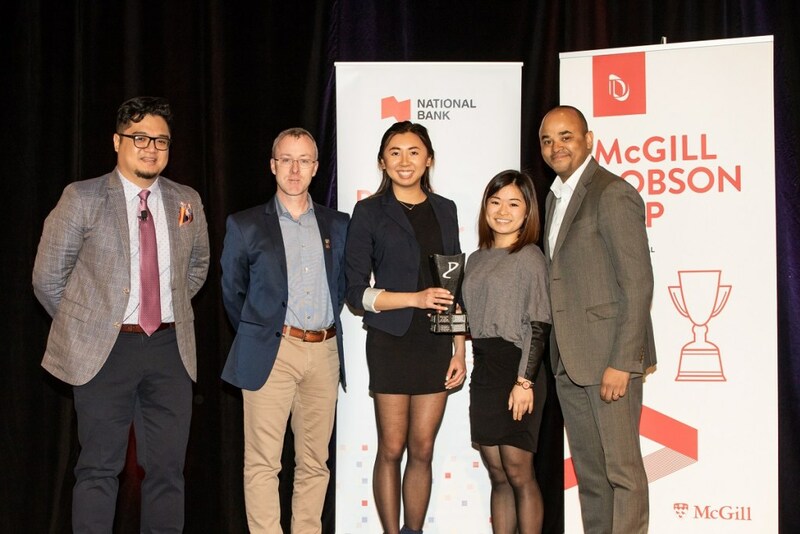 This year’s winning venture is the McGill startup reMIXed, co-founded by Jamie Lee and Isabelle Lam (3rd-year undergraduate students at the FAES). reMIXed’s mission is to transform the concept of traditional trail mixes by introducing dehydrated beans and re-purposed fruit, providing an affordable alternative that combats food waste.